Shockerwick isn't in the modern Box parish but we make no excuse for including Ainslie's details because that was not always the case. The Speke family in the early 1600s regarded it as part of their estate and, indeed, the boundary line between Box and Bathford runs beside the house. 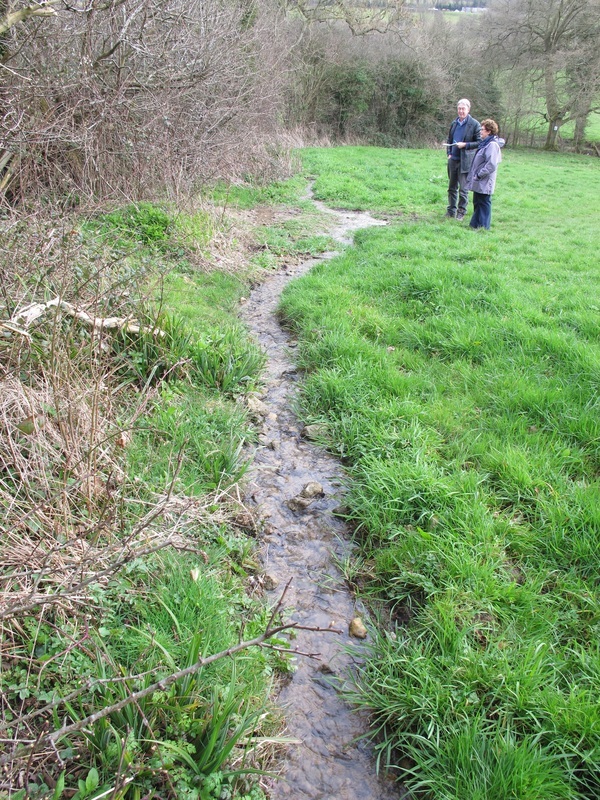 The siting of this boundary down a small brook is one of the great mysteries about who shaped the area in the early days and why. 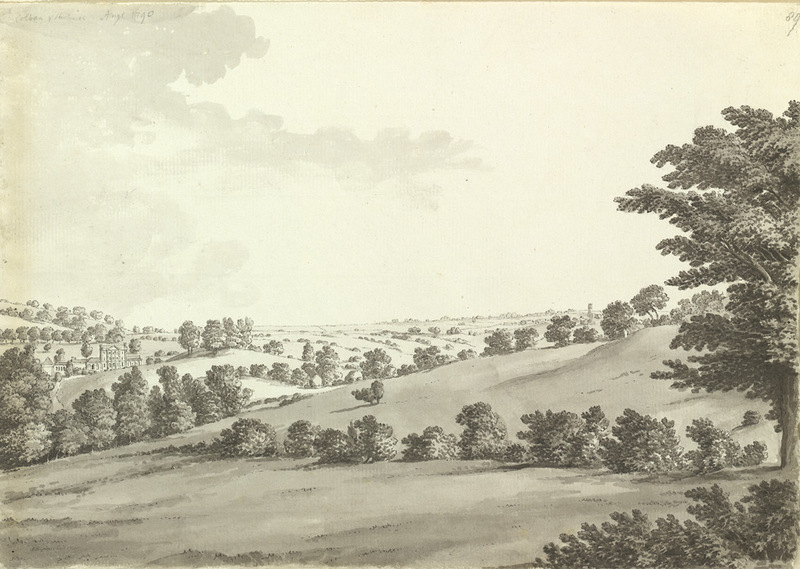 Right: Illustration by SH Grimm dated 1790 showing Shockerwick House on left (courtesy British Library). In issue 11 you have a fascinating picture of an older Shockerwick House which I had always wondered about. My mother-in-law, Mrs Larky Goulstone, told me that the present north west wing, which faces our farm and has Cotswold stone tiles unlike the rest of the house, is the only remaining part of an earlier house, called Hussey's Court, which burned down. She said it was the stable block of that house. It's such a wonderful, occupation site with sun all day (when there is any !) that encouraged a succession of houses on the spot. I seem to remember from an early map that a track or drive went across the field we now know as the Big Mead from Bussam Bridge to the house site. Perhaps the stable / farm access was from the present drive. We tend to forget that lane access was from Ashley mainly until the railway went through. Above: The modern Shockerwick House with the oldest part seen on the left of the picture. Below: the ancient boundary marked by a running brook is a fascinating insight into how ancient people marked out their territory. Shockerwick House once played a part in Britain's political story. William Pitt the Younger, British Prime Minister, visited Shockerwick in 1805, where he learned of the French victory at Austerlitz. The so-called Battle of the Three Emperors was perhaps Napoleon's greatest victory when he defeated the armies of Tsar Alexander I of Russia and the Holy Roman Emperor Francis II of Austria. The result opened up the whole of Europe to control by the French Emperor. Pitt is reported to have said of the result, Roll up that map (of Europe); it will not be wanted for ten years. Pitt died 2 months later, a broken man. Now, any views about why it was once called Hussey's Court? Help please.